Creating a better tomorrow through technological innovation and development – uncovering a future for the finite resources of water and energy. Nagaoka manufactures environmentally-friendly water intake and treatment systems, and screen internals for oil refining and petrochemical complexes, helping to create a better world for society. At Nagaoka, we have developed our own unique technology to effectively utilize finite resources. This technology contributes to the stable supply of water and energy – resources which are essential for daily life – and helps to preserve our natural environment. In our Water Division, our “Nagaoka Screen” for water intake and environmentally-friendly water treatment system “CHEMILES” create new water resources. We have also succeeded in developing “AERSYS”, a system for removing VOC (volatile organic compounds), as well as “HiSIS”, which is water intake technology for sea water. We continue our efforts to “propel forward and probe deeper” into the field of water. In our Energy Division, we have established a position for Nagaoka as a certified supplier of “Screen Internals”, and we now deliver to more than 65 nations worldwide. We intend to further strengthen our competitiveness and develop new technology, so that we can continue to enjoy this leading position. 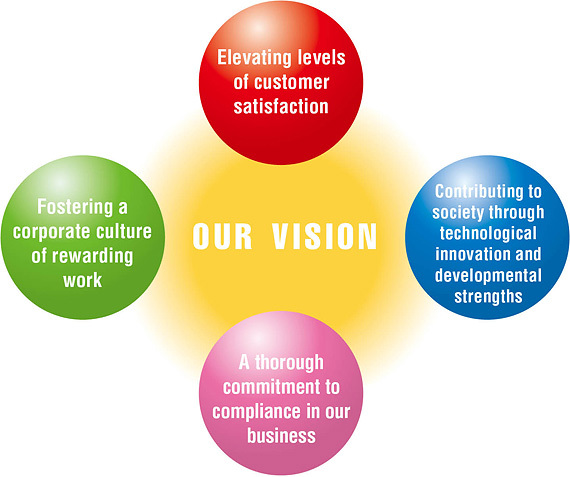 Providing a prosperous world to pass on to future generations – this is Nagaoka’s commitment to society. With this mission firmly in our minds, taking pride in the responsibility we have been given, we carry out our efforts to demonstrate the meaning for Nagaoka’s existence.